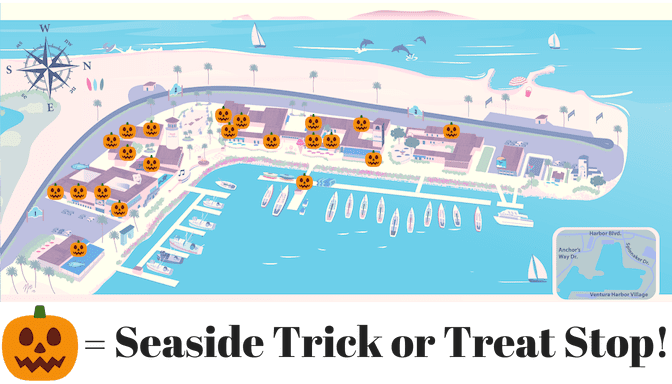 Join Us For Our Spooktacular SEASIDE Halloween Events! Dress up the kids and navigate through the waterfront village with over 20 treat stops at participating Harbor boutiques and restaurants. It will be an afternoon full of Halloween sweets, face painting and family fun! Participation for the Trick or Treat is complimentary. Bring your own bag (but we’ll have extra in case you forget)! Participating businesses will have balloons out front to signify they have treats for you inside (while supplies last)! 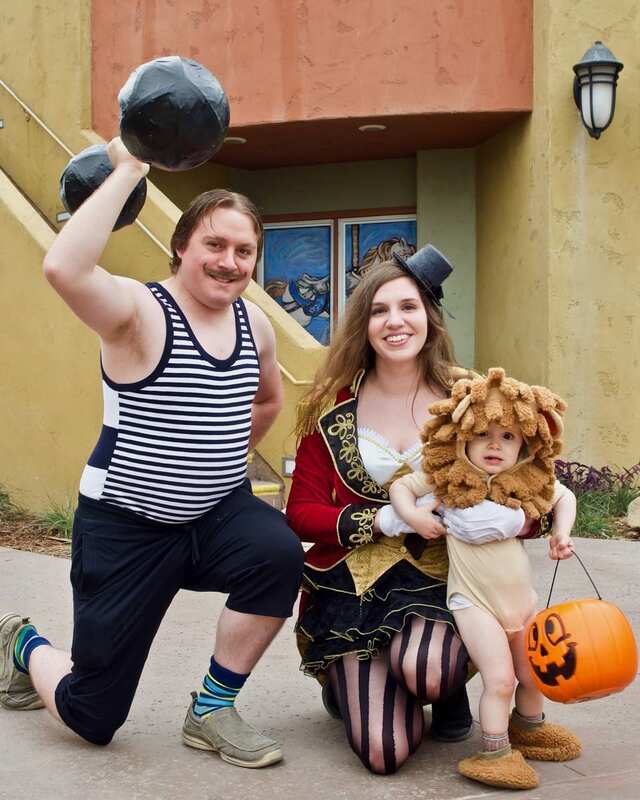 Grab a last minute accessory at Hats Unlimited or Lost in Socks to complete your Halloween costume, refuel with a Pumpkin Spice Latte at Coffee Dock and Post, or let the kids indulge in arcade games and candy apples at Village Carousel & Arcade. Also be sure to join us and Macaroni Kids to make your own Fall themed crafts! You have your choice to either WATCH or JOIN a zombie takeover in the Ventura Harbor Village on Saturday Oct. 27, 2018! 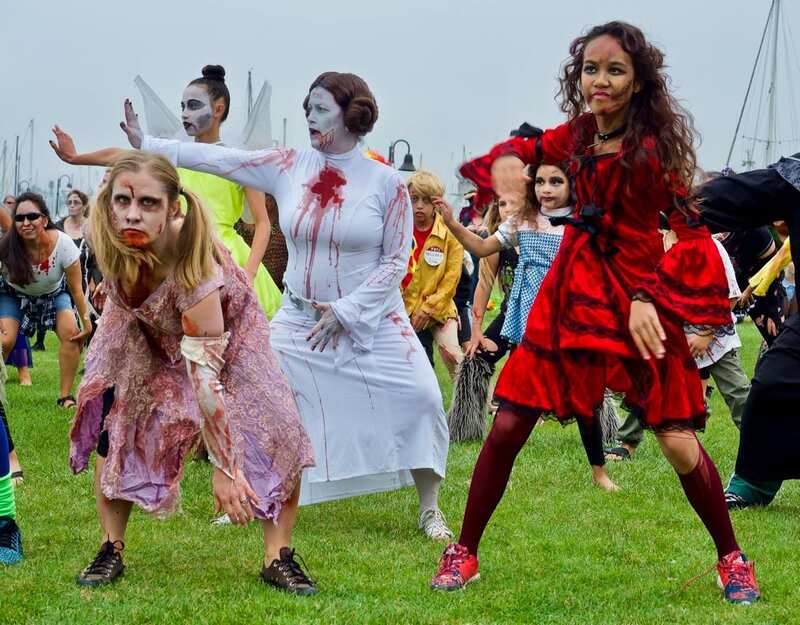 Spectators be sure to show up before 3pm to catch the thriller flashmob in action. However if you want to participate, it takes some preparation! Learn the dance, the 6 minute “Thriller” by Michael Jackson, by joining Molly at FitZone in Ventura (4756-3 Telephone Rd between Burlington Coat Factory and Winco) for classes. Join this Guinness book of world records event! Did You Miss It? Come Again Next Year! A wonderful display of dogs (and owners) in creative and thematic costumes to win prizes! Every pet gets a “treat”, owners can enjoy pet-friendly dining patios, boat rentals, and waterfront hotel stays. 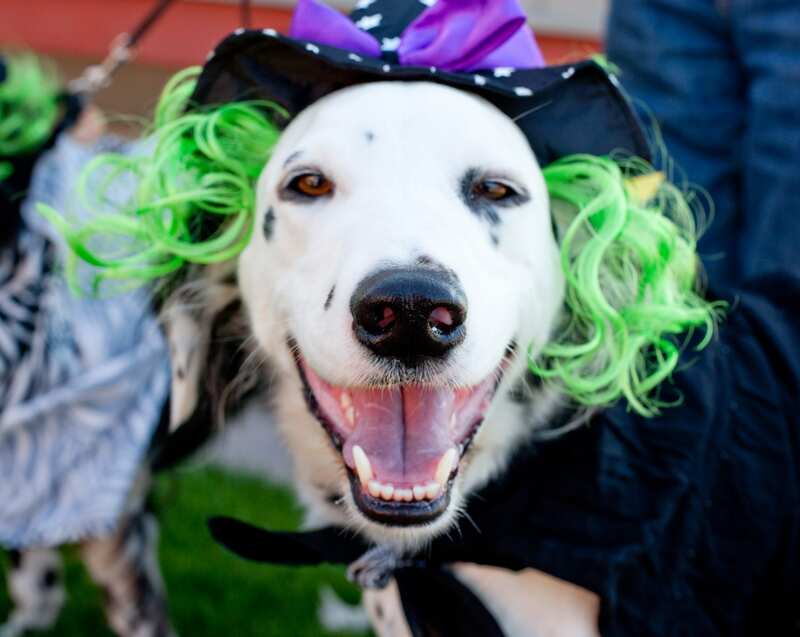 A special thanks to our Doggie Sponsor – Ventura Pet Barn! Awards & Prizes Include: A blue ‘1st Place’ ribbon, a pumpkin, and a gift certificates or merchandise from Andria’s Seafood Restaurant & Market, Copa Cubana, Le Petit Cafe & Bakery, The Greek Mediterranean Steak & Seafood, The Ultimate Escape Rooms, Lost in Socks, or Ventura Boat Rentals!